The panel for this event will evaluate the content of Paris Agreement. They will cover mitigation, adaptation, loss and damage as well as finance and technology transfer. 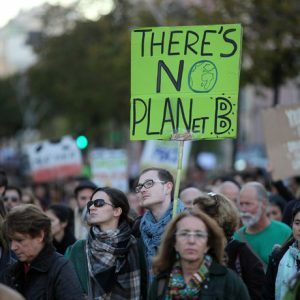 They will also outline what needs to happen to implement the Paris Agreement effectively to actually mitigate dangerous anthropogenic climate change. Each panel member has worked on climate change both within and beyond the United Nations Framework Convention on Climate Change. They will provide insights into the negotiation process itself, commenting how it has (or has not) changed since 1992, reflecting experiences at COP 21 in Paris 2015. Speakers: James Cameron, MJ Mace, Linda Siegele, Professor David Fisk. Chaired by Dr Feja Lesniewska.